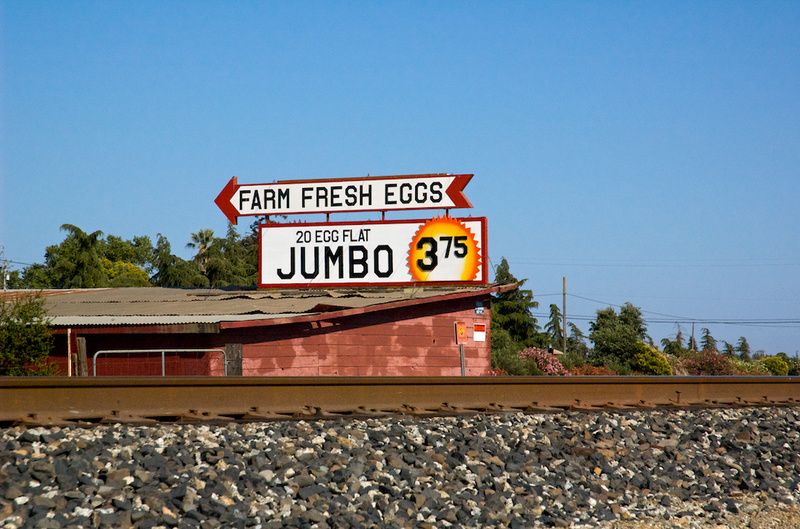 Farmer’s egg stand on the northern outskirts of Gilroy, California. Gilroy is home to many factory outlet stores; I suppose this also qualifies. Shot with the Nikon D70s and the 18-70mm f/3.5-4.5 zoom at 70mm, ISO 1600, f/10, shutter 1/2500 sec. Minor white balance and levels adjustments and exposure correction in Aperture.